The sci-fi television show Serenity gets its name from a Firefly-class spaceship that plays a prominent role in the series. Director Joe Whedon has gone as far as to refer to the Serenity as the "tenth character" in the series. 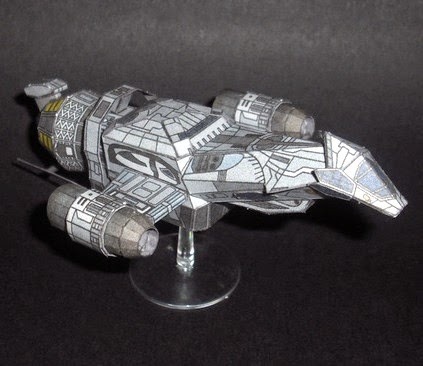 There are several Serenity paper models around, but at only 5" long, my bet is that this is the smallest. The single page PDF template for the model was created by Jim Bowen and may be downloaded here. "Knarrs were the workhorse ships of the Vikings (when they weren't looting and pillaging). These were the ships that sailed across the North Sea, the North Atlantic, up the Volga River....bringing trade goods, loot, slaves and settlers to and from everywhere the vikings went." 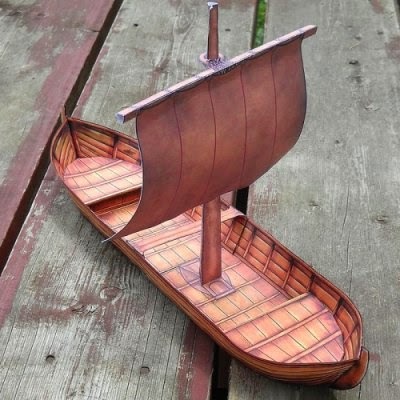 Just the size for table top gaming, the papercraft template for this ship may be downloaded here. For over thirty years, images from the Pac-Man arcade game have endured in popular culture. 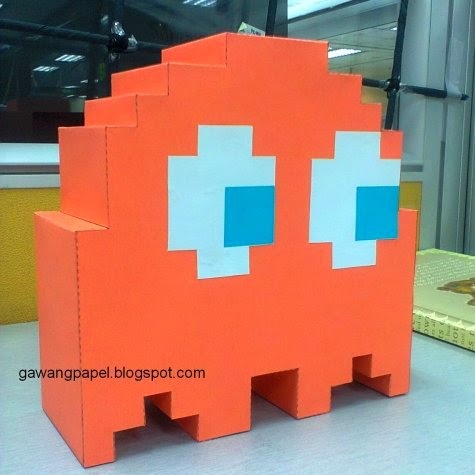 You can even build papercraft Pac-Man ghosts (Blinky, Pinky, Inky, and Clyde) as desktop buddies! Roz at Gawang Papel created the ghosts for use as Halloween decorations. Printable templates may be downloaded here. 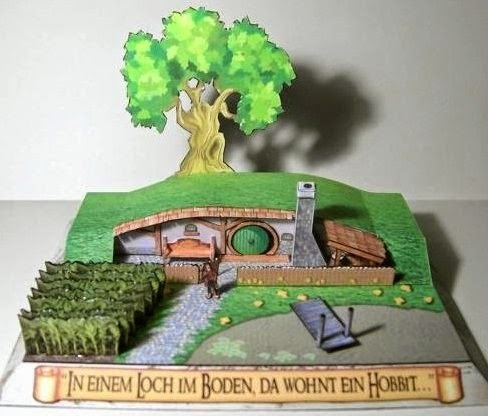 There is far too little Lord of the Rings papercraft to be found, so I was glad to see this Hobbit hole diorama by Olli Bizer. 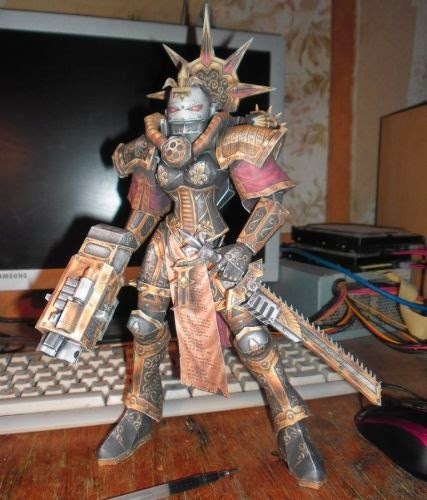 Translated, the German phrase on the front of the model reads "In a hole in the ground there lived a Hobbit" which are the opening words to Tolkien's The Hobbit. The PDF template for the model may be downloaded here. 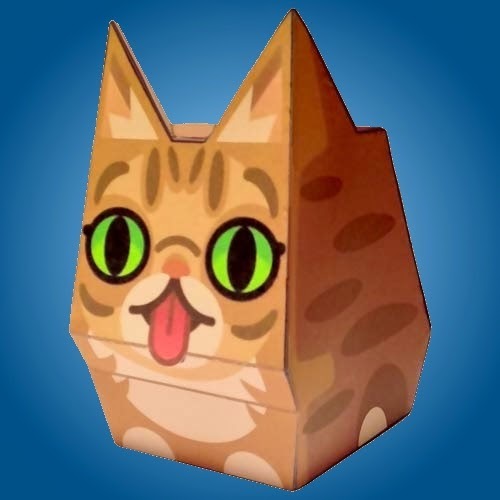 First a Grumpy Cat paper toy and now a Lil Bub paper toy; if Tubby Paws would just create a Colonel Meow paper toy then the Internet Cat paper toy trifecta would be complete! ;) The one piece template for this Lil Bub toy may be downloaded here. 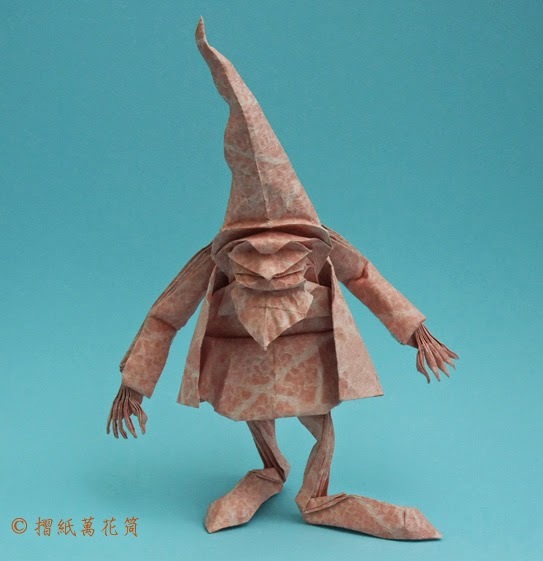 If the photos scattered across the Internet are any indication, this delightful origami dwarf is easily customizable. 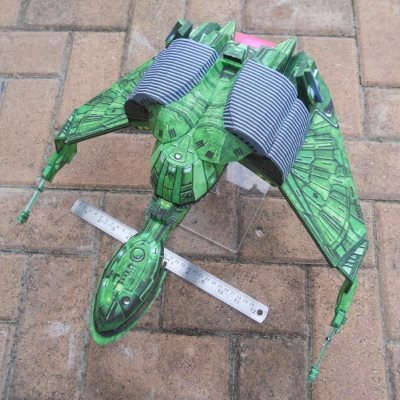 The original pattern for the dwarf was created by French origami master Eric Joisel. Links to the crease pattern and instructional videos may be found at the bottom of the page here. Build photo by Gabriel Vong. 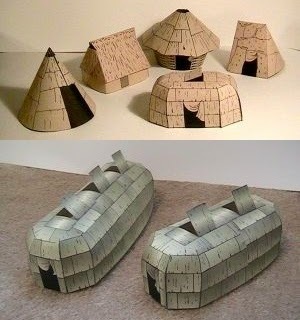 These Native American architecture paper models were created to be a teaching activity for children. The collection of residential structures includes a plains tipi, an Iroquois longhouse, a set of various houses from prehistoric Ohio, and a Pacific Northwest cedar house. The PDF templates for the houses may be downloaded here. Each of the templates is uncolored. Coloring may be done by hand, by computer, or by printing on color paper.